I hate the title "Tinkerer." Either you know your craft or you don't, maybe you are a hobbyist or have loads of free time to waste while pursuing a solution to a mechanical problem. I on the other hand, have little free time and would rather wrap the job on a Saturday morning than fill an entire weekend with failure and frustration. Maybe I am just jealous of that type of old guy that has time to tinker. The cold truth is that I am slogging through more grunt work currently. This evening I was fixing a slow draining bathtub and I had to smile at how confident I was at troubleshooting, as well as determining the best solution. And no, the answer was not pouring a bottle of Drano in the tub. My neighbors and friends have heard me expound the knowledge contained in a very special set of books. 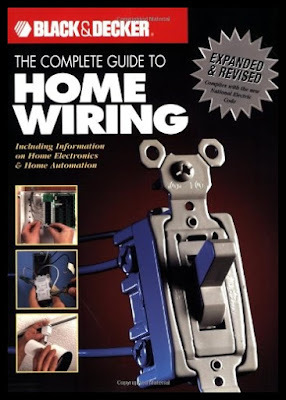 I would not be where I am today if it weren't for the Black & Decker Home Improvement Library. And in full disclosure, I currently have not received any compensation for this endorsement. Each of these books is around $25 a piece, but well worth the knowledge base when taking on a renovation. The full-color, photo intensive layouts fit my visual learning style to a tee. You can see each part of the process with little guesswork, unlike the old Haynes automotive manuals. With that said, there is a right way of doing things, and the authors have already done the research, planning, and design work. Along with the information in these texts, sourcing the correct parts and tools is critical. I have to give a huge shout out to Amazon while we are at it. They have always been my secret supply house in the past, but even more so recently. The Marketplace excels because you know some vendor is holding on to warehouse parts for a twenty-five year old toilet. I am continuously amazed at what is still sitting on a dusty shelf, and now readily available through our new digital universe. I felt compelled to share these two important sources, they have been an incremental part of what I have accomplished, and they deserve a free testimonial. While neither of these companies need my recommendation, hopefully this helps a novice homeowner who is trying to figure out just where to start.